Plot: A father and daughter live in a national park forrest until they are discovered and their world turned upside down. A father and daughter story that flips the status quo in unexpected and hugely poignant ways, pray that we don’t have to wait another 8 years for Granik to direct another film like Leave No Trace and Winter’s Bone. It’s been 8 years since Leave No Trace director Debra Granik’s last film Winter’s Bone. And while that film has become famous for putting a certain Jennifer Lawrence on the map it does Winter’s Bone a mis-service to say that was its key selling point. Because it was, like Leave No Trace, a slow-burn film that told a character lead story of people living on the edge of society. It is with jaw-dropping pleasure then that Leave No Trace tells a different story with the same gravity and emotion as Granik’s last film. 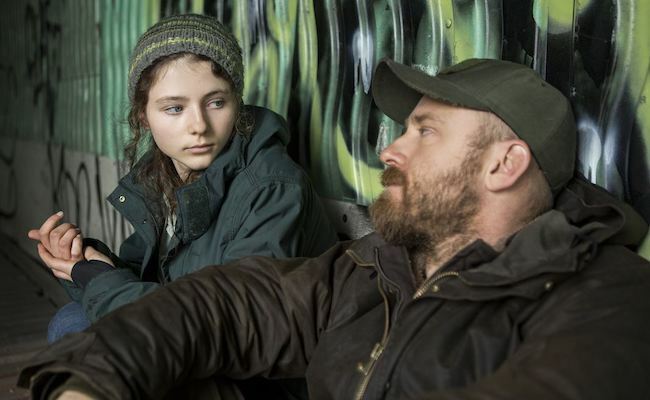 Tom (Thomasin McKenzie) is a teenage girl residing in a National Park wilderness with her father Will (Ben Foster). Living primarily off the fat of the land and getting cash by selling Will’s prescription medication the pair’s life is, as far as they are aware, complete. Will’s PTSD means that living a ‘normal’ life is not an option for this father and daughter. But when Park Rangers find them and destroy their camp their lives are turned upside down and Tom soon begins to realise there is another life out there, while Will feels the four walls of a conventional home closing in. Leave No Trace is a delicate coming of age story of a father and daughter. Granik conjures a deeply emotional piece without ever conforming to grandiose Hollywood cliche. Like Winter’s Bone, Granik has the ability to build, realise and immerse you in a world that is far beyond the one you know while still being firmly grounded in our reality. Witnessing Will’s obvious inability to function in society while Tom is realising the exact opposite about her life is a staggering and heart wrenching journey. From their first camp to their first home and beyond Granik leads us on their voyage holding our hand and guiding us gently towards Tom’s understanding that while her father wants to do right by her he might not necessarily know what that is. What Granik does so beautifully is make the little details resonate with the bigger picture. So the pitter-patter of rain on canvas, the lush green visuals of the park juxtaposed with the sprawling concrete jungle of a city. We’re never overtly told that Tom’s life is sheltered but instead it’s highlighted through visuals that are both stark and powerful. Close-ups of Tom beaming to life at the buzz and warmth of a bee-hive are among the most satisfying images committed to film this year. Leave No Trace thrives thanks to two central performances. Ben Foster is typically excellent, stoic, determined and wonderfully underplayed, his Will is a shell of a man desperately trying to keep himself sane while keeping his daughter alive. McKenzie meanwhile, if there is any justice in the world, will see the same stratospheric rise to stardom as Jennifer Lawrence did. Her Tom is achingly quiet, timid and vulnerable, the slight quiver in her chin and waver in her voice is enough to have you melting for her. But witnessing her execute her father’s wilderness survival techniques perfectly reveals a resolve beyond her years. Put it this way, she’s the kind of character that would laugh at Bear Gryll’s ability and would likely be the only person to survive a zombie apocalypse.